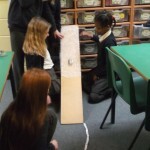 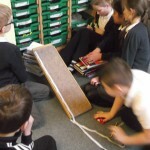 Today in Science, Year 5 have been investigating which surface creates the most friction in preparation for their experiment tomorrow. 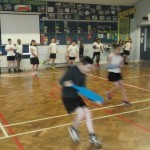 Year 5 had their last cricket coaching session today. 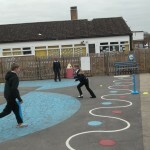 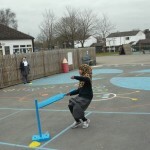 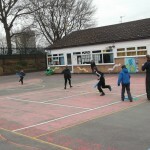 The children split into four teams and played cricket using all the skills they have acquired over the last few weeks. 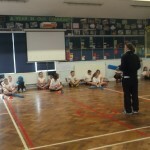 Thank you to Kelly for all her help and expertise. 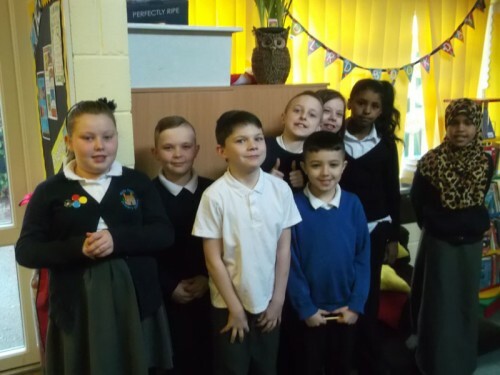 Well done to the following children for moving to their next test for Number Clubs; Leah MB, Kai M, Kaydon, Cody, Kian, Emi, Mya and Sundus. 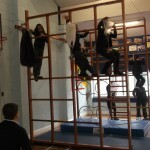 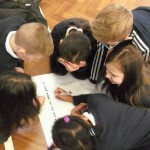 During British Values Week, Kestrels focused on developing their understanding of democracy. 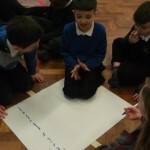 The children held very sensible whole class discussions and researched democracy independently before creating their own information texts. 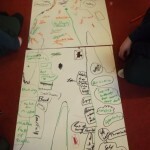 The children’s writing was fantastic, as were their individual ideas in how to structure the texts. 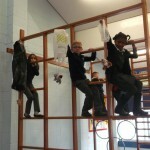 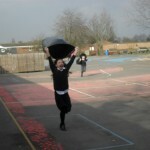 Today in Science, Year 5 took part in an experiment to test air resistance on different parachutes. 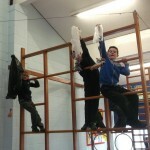 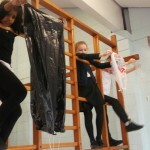 The parachutes were made from different sized plastic bags and string with toys attached underneath. 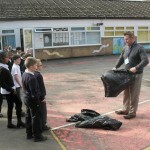 The children had to predict which parachute would be the most effective. 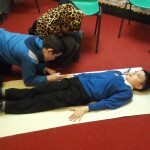 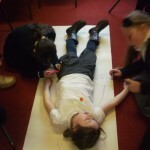 Today in groups, we drew around a child’s body on sugar paper. 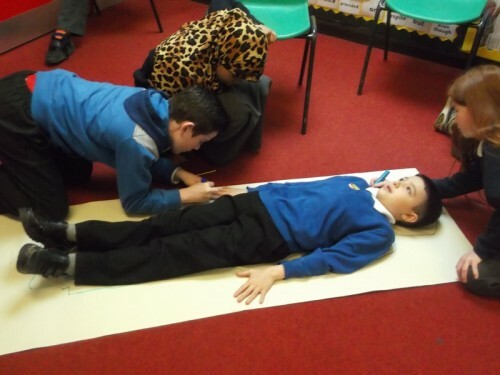 Then, around the outside of the body, we wrote things that happen in the classroom that cause relationships to and friendships to break down. 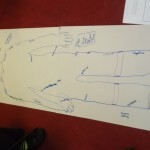 Just inside the surface of the body we wrote how those actions make us feel. 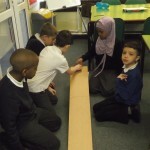 Following this we considered what we could do to make someone feel better / to mend relationships and to show you care for each other. 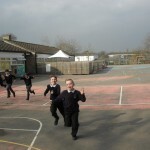 All of these children have achieved excellent marks in their Number Club tests. 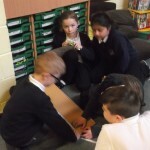 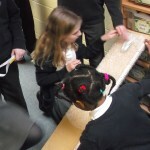 Well done to Mya, Emi, Leah Mc, Leah MB, Charlie, Brianna, Reece, Sundus, Cody, Jimmy, Paige, Maisy, Carla, Isabel, Willow, Kai M and Kai E.
In preparation for two weeks packed with a variety of Science experiments, Kestrels have been discussing what they know about forces and how they play a part in our every day life. 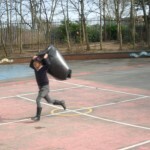 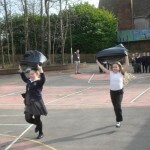 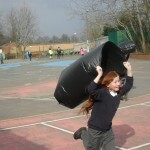 Today they compared running normally with running while holding a large bin bag. 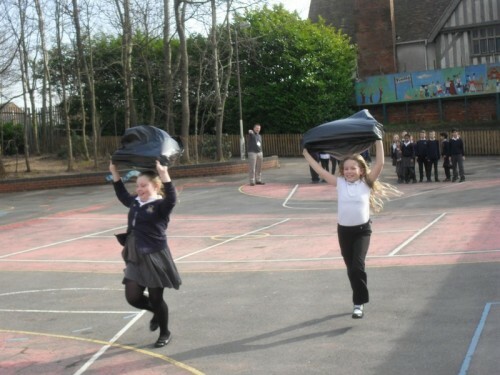 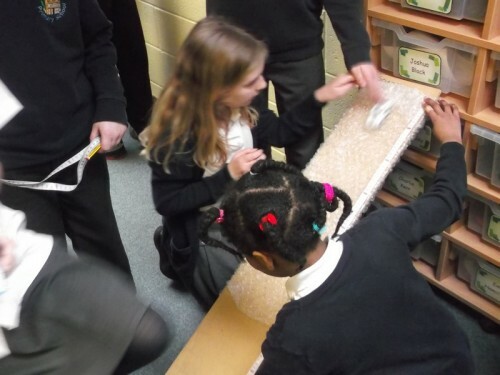 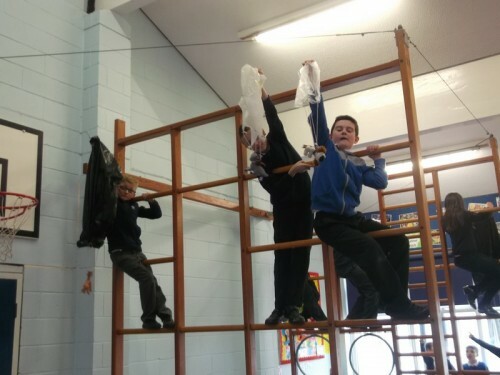 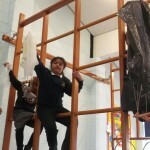 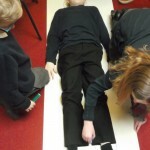 Their comments included, “It was little a massive pressure on my shoulders.” and, “It really slowed me down.” The children realised that it was the air collecting in the bin bag / air resistance that slowed them down. 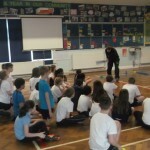 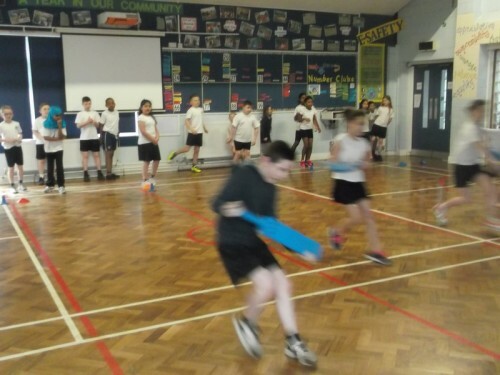 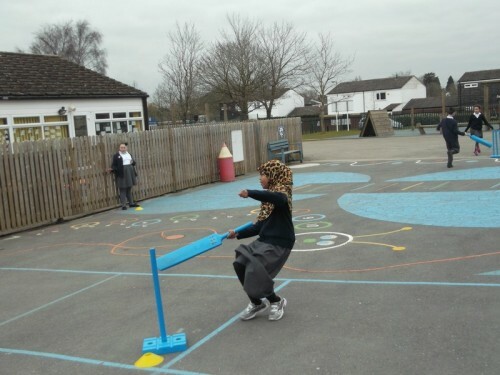 The children in Year 5 had another fantastic cricket coaching session with Kelly on Tuesday. 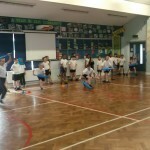 Well done to Charlie for getting Star of the Session. 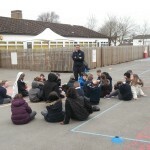 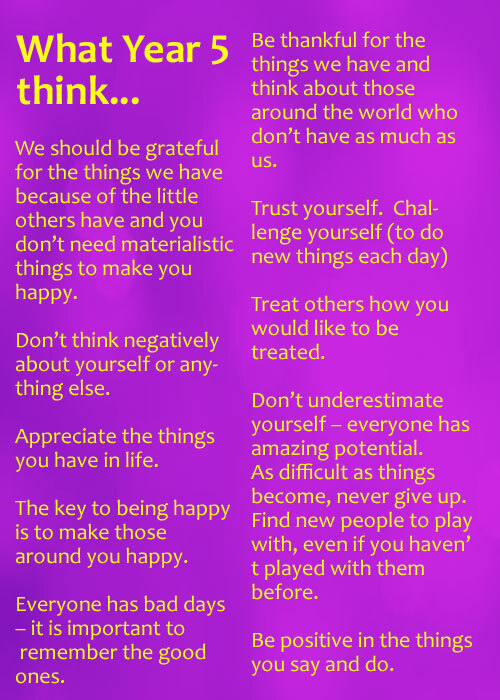 Following a very interesting Peacemakers session on Monday afternoon, Kestrels took time to consider many of the messages they had discussed with Phil. 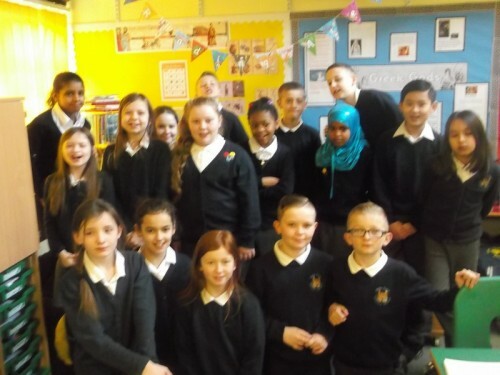 The class watched a video of primary school children singing in Sierra Leone, after learning a little about the history of the country. 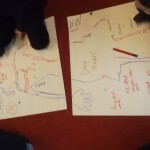 We then thought about lessons we could learn from the song and the session we had with Phil.